I was pleased to attend last week in Geneva “Building an Art Market for the Future—Guidelines for Countering Money Laundering and Terrorist Financing Threats” hosted by the Fondation pour le Droit d’Art (Art Law Foundation) and the Art Law Centre of the University of Geneva. 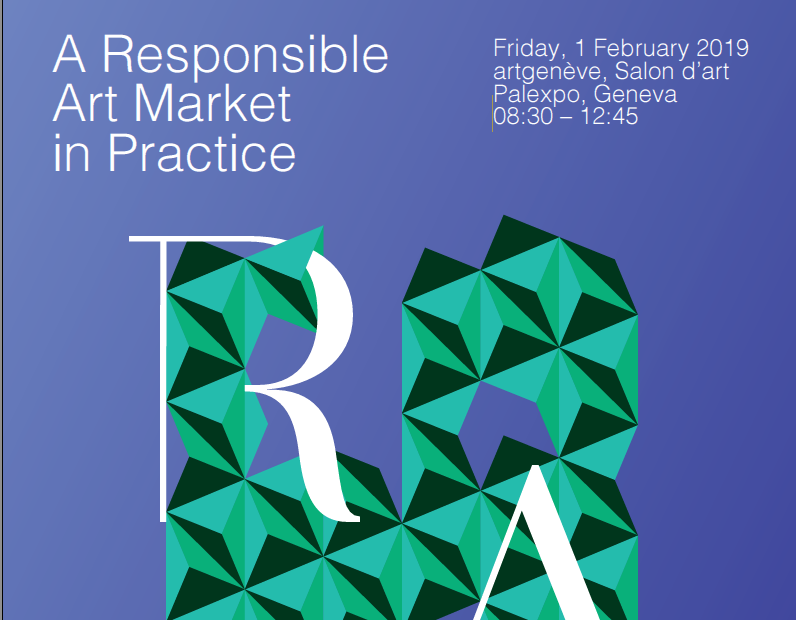 The conference was the official launch of the Responsible Art Market initiative, and offered valuable, market-focused discussion about the risks of money laundering and terrorist financing in the art market. Refreshingly, the day’s panel discussions focused on best practices and goals, rather than the oft-heard lamentations about problems with the art market. The implicit point that came through was a powerful one: as both private sellers and law enforcement speakers explained, art dealers are not engaged in large-scale shadowy financial dealings. But art dealers and buyers are at serious risk of being used by criminals engaged in money laundering, which can have serious consequences. Because willful blindness is no defense, the conference and the initiative provided valuable practical advice. The Fondation pour le Droit d’Art (Art Law Foundation) is a Geneva-based group that sponsors exploration of important topics at the intersection of art and law. Over the last few years, often in collaboration with the Art Law Centre of the University of Geneva, they have explored with particular skill a number of complex questions about the commercial components of the international art market. As we have touted before, their events are routinely of the highest quality. I am pleased to note the following upcoming event on January 26, 2017 at artgenève, which I am very much looking forward to attending (the program is in English). Registration is available here. Hope to see you there!